Find up to 30 approved assisted living communities in your area. Get free expert guidance on choosing the right senior housing community from a local Senior Living Advisor. 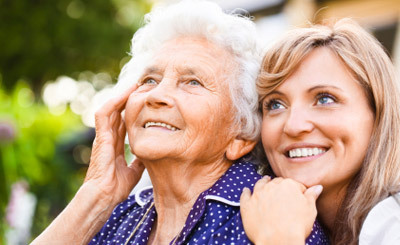 We Help Families Like Yours Find Assisted Living Care at No Cost to You! We are the nation's largest resource for finding the best Assisted Living communities for your loved one. Start today to see Assisted Living communities in your area or contact a Senior Living Advisor for free expert guidance and assistance. Assisted Living communities offer many programs for seniors ranging from short term respite stays and day care activities to aging-in-place communities and long term care facilities. Our experienced Senior Living Advisors will help you find an Assisted Living community that fits your loved one's lifestyle and level of care. Call today! Your service was extremely helpful when it came time to relocate my mom to a memory care facility. Your prompt responses with a variety of solutions were exactly what I needed. I had no idea where to begin to look for the care my mother was needing on such a short notice. You were compassionate and knowledgeable. By notifying different facilities for me, I didn't feel so overwhelmed and you gave me a plan of action!